Any event that attracts a team called “Super Loud Noise Problematic Racing,” was clearly made for us. Mobaru Twin Circuit’s Baridori event—“bari” from the “baribari” sound of loud bikes, and “dori” from “dorifto”—is a special place for Japan’s rowdiest grassroots racers to compete, and one man can do it all thanks to a wonderful drift van. All the racers at this particular event are at the fun fringes of the racing community. “In the same way that a really low, slammed, loud, bright drift car is the antithesis to a nice sports car, the bikes here today are the antithesis to a regular sports bike,” Noriyaro host Alexi explains. Riders who come often bring loudly modified street racing-style bikes, and go for the ultimate low-budget method of advertising their team affiliation on jerseys instead of on expensive custom leathers. Expect dank wheelies after dank wheelies. This style of motorcycle racing and drifting is truly a match truly made in heaven. These guys revel in annoying anyone who can’t appreciate the loudness of their respective motorsports. In other words, they’re our kind of people. One racer, Keisuke Kamimori, came prepared for both sides of the Baridori event with an ultra rad Nissan Serena drift van. He needed to haul a bike, but also wanted a drift car, so clearly the answer was to build a drift van that could do both. The Serena was perfect, as it came with a naturally aspirated SR20DE engine and rear wheel drive from the factory. The engine sits right under the front seats. 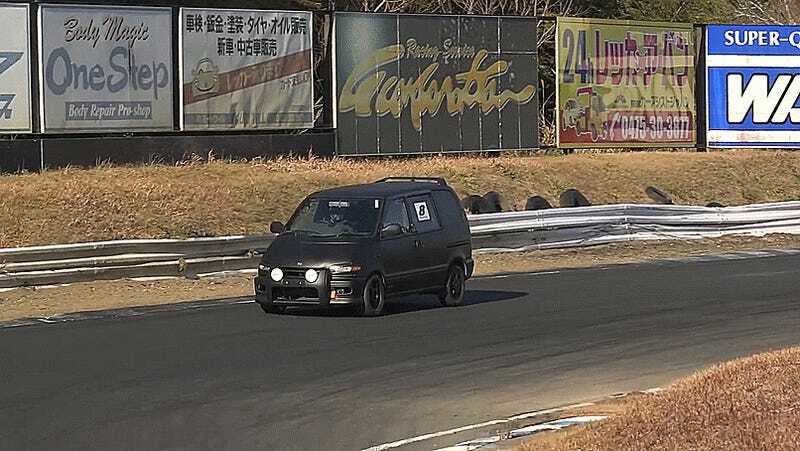 Keisuke naturally added a turbo, but was drifting the van even without it. He’s now added additional seats in the back of the van that take the place his bike formerly did and trailers the bike behind the Serena, but we love it anyway. 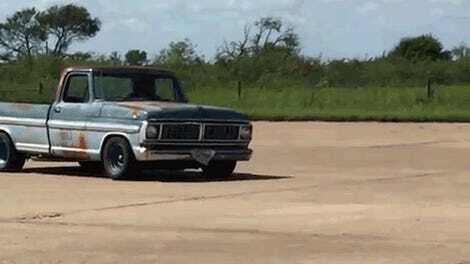 Now it’s a tow vehicle that drifts!